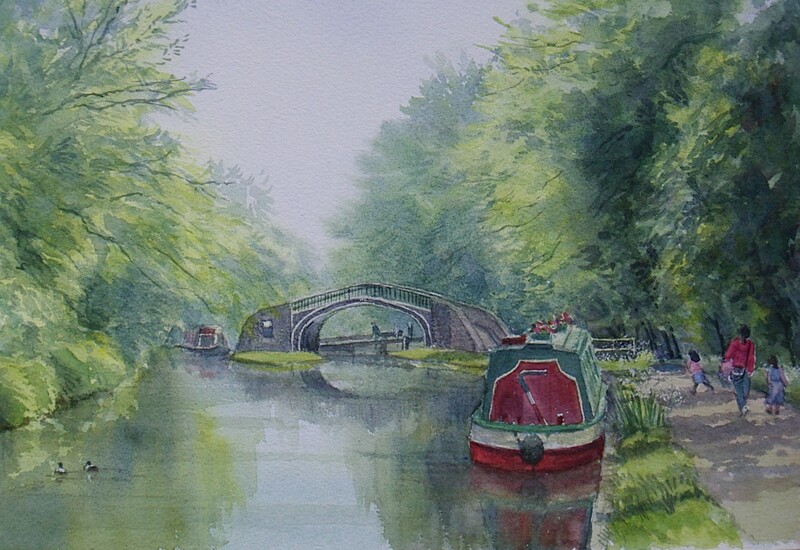 This is an evolving gallery of professional artists inspired by the Oxford Canal. Our initial selection includes two Oxford based artist and one artist who lives in Coventry. All of these artists have kindly given the Oxford Canal Heritage project permission to include their work in our various publications and publicity about our events and we thank them for this. The gallery of Colin’s paintings and sketches includes his painting of St Barnabas and a rare watercolour of the Oxford Swing Bridge in its glory. Sadly it has deteriorated over the intervening years and it is currently the focus of a large restoration project by the Oxford Preservation Trust. 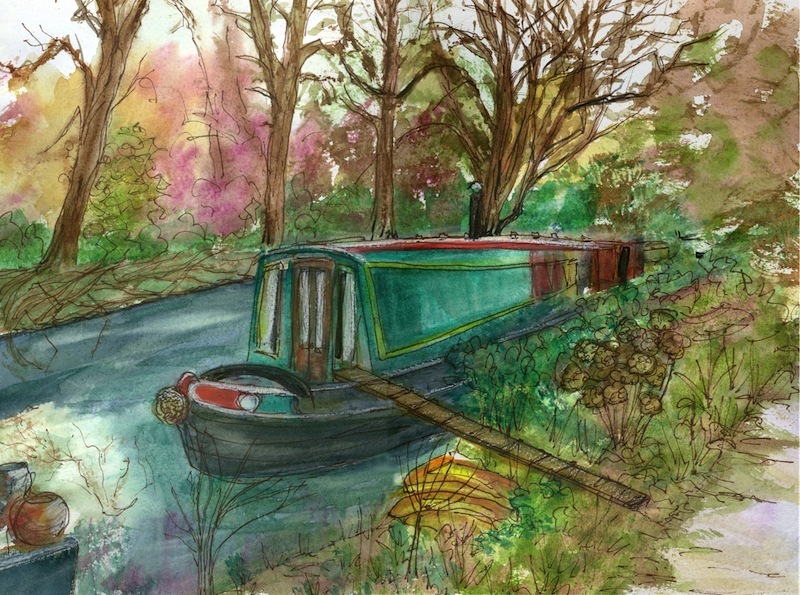 Valerie Petts lives in Jericho and has drawn and painted scenes of the Oxford Canal for many years. Her professional background and first career was as a medical technician and she worked for some years in clinical research in both London and Sydney. However she is now established water colour painter, and has exhibited in Tokyo and Cape Town as well as showing extensively in Oxford where she is a member of the Oxford Art Society and also does a little teaching. Her work has often been featured in local media hence for some years Valerie painted each month for the Oxford Times prize-winning magazine ‘Limited Edition’. Valerie’s lovely paintings of St Barnabas Church and Aristotle Bridge have been used to illustrate two of the places of interest in the Oxford Canal Heritage Guide. Katherine Shock is a painter and garden designer who lives in Oxford. She works in water colour and oils and has a wide ranging portfolio of subjects and places. However her love of in her home city of Oxford has inspired her to produce a growing body of art that seeks to capture to capture many different aspects of the university’s dreaming spires, the city’s bridges, and green spaces. 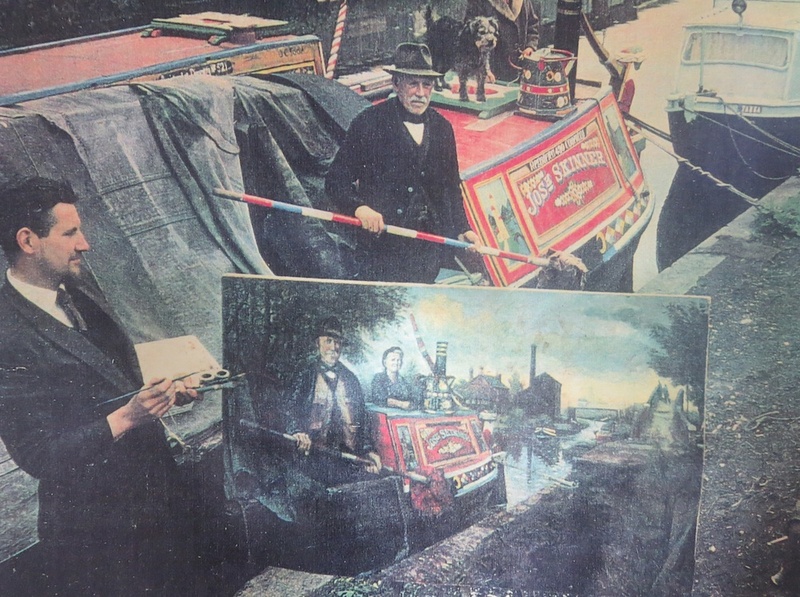 Examples of canal themed art can be seen in the gallery including a beautifully detailed Isis bridge which features in the Oxford Canal Heritage Guide.